And now, for some perspective on the perspective of science fiction, here’s author Warren Hammond to talk a little bit about his latest novel, KOP Killer. The big idea for the KOP series is science fiction from a Third-World perspective. If there’s a weakness in our genre, it might be the fact that science fiction writers tend to focus on the history makers. The writer builds a vast and compelling world and focuses on the most consequential people in that world. Add in some big, impactful stakes, and you find stories of deliverance. Protagonist delivers the oppressed to freedom. Protagonist delivers humanity form a horrible disease or technology. Protagonist delivers people from threat of meteor or alien invaders or environmental collapse. All powerful themes for powerful stories. But I chose to go a less-travelled direction. I built an insignificant backwater planet. A failed colony world damned by a resource-poor environment and a collapsed economy. A world riddled with corruption and strangled by the cycle of poverty. A world with no future. A people with no hope. And on this shattered world, I chose to focus on ex-cop Juno Mozambe, a man who is just as broken. He’s lost his job. His best friend. And his wife. He’s no innocent victim of circumstance. Each of his losses was the direct result of his own actions. He wasn’t a good cop. No, he was the dirty chief’s enforcer, a master of beatdowns and frame jobs. He wasn’t a good friend when he selfishly testified against his old partner to save his own interests. And he wasn’t a good husband to the wife who killed herself. You see, I’m more interested in failures. The wounded souls who get up every morning and put one foot in front of the other despite their circumstances. The people who strive for a better life even though they have every reason to believe they’ll never achieve it. Juno Mozambe is one of those people. 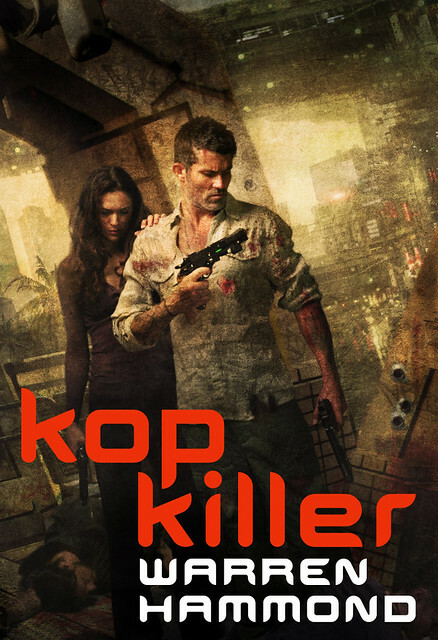 At the start of KOP Killer, he’s a man on a mission to take back what was once his, the Koba Office of Police. But not for himself. He wants Maggie Orzo to become chief. She has the smarts, and she’s plenty tough. More importantly, she’s not dirty like he is. She could make a difference. He needs her to make a difference. Because despite a lifetime of violence and corruption, he has hope for a better future. Establishing an honest police force could be the first step in creating a better world for his people. He’s questing for redemption he can never obtain. This is science fiction from a Third-World perspective, where corruption has been institutionalized, poverty is the norm, and the value of human life has been marginalized. There are no easy solutions. In fact, there may be no solutions at all. But with stubborn resolve and blood-stained knuckles, Juno marches forward anyway. Is it just me, or do those people look like the cast of Warehouse 13? I’ll admit, this one has piqued my interest. I think I’ll add it to the list of books I want to read someday. Too bad that list is so dang long. They do a little bit. Although the guy has more of a Bruce Campbell jaw. This is one of those series I’ve meant to start reading. I have Kop and Ex-Kop in my nook. This is a good reminder to get to them. Good idea. I like it. I LOVE this series. Love love love. You know when in Blade Runner the advertisement says “a new life awaits you on the offworld colonies,” and you just know there’s something fake and wrong and it’s probably a scam? That’s because Lagarto is that off world colony. God, I’ve been waiting on this second sequel for a long time. Hammond is good at what he does, exploiting many styles in a format that pleases many stylists. A good recommendation for SF readers. Might be old stuff for detective novel readers, but not for SF. That guy on the cover is called _Juno Mozambe_? Really? And he represents SF “from a Third World perspective”? Really? Yet another white guy with a gun? The issue of “white-washing” covers has already been making angry waves in YA; interesting (but not happy-making) to see that it’s showing up in SF, too. I’m glad I’m not the only person who had that reaction to the cover. Although it’s worth noting that “Third World” isn’t really a term that gets used much anymore, both because the Soviet Union is gone and because it’s considered kind of tacky to refer to residents of other countries as if they inhabit an entirely different planet. Incorrect etymology. Historian Alfred Sauzy coined the term for French newspapers to liken nonaligned nations to France’s third estate as distinguished from the first estate (clergy) and second estate (aristocracy). Personally, I find the terms imprecise given the rather different geopolitical relationship the West has with what remains of the Eastern Bloc than it had with the USSR-dominated East. A more accurate distinction is between industrially developed and industrially developing nations, with the growing post-industrial phase of the Western Bloc. That said, I have reason to expect even this distinction won’t last more than a couple more decades. Is not the most stereotypical aspect of this Big Idea piece (though perhaps not the book itself, depending on how explicit it is in the analogy) that it implies that “Third World” (developing world) nations are all failed states where life is a Mad Max movie? Perhaps the author would have more success in conveying the books message by not associating it with specific present-day demographics since those tend to be low-resolution maps at best. Incidentally, do you believe there is something about “white” people that would prevent extrasolar colonies containing them as settlers from devolving into extreme socioeconomic hardship? One could argue that making the primary character non-white propagates the stereotype that only predominately non-white people’s societies don’t succeed, which seems like a pretty offensive notion. I’m not saying you’re necessarily wrong – I’d have made the protagonist non-white (though both approaches have their criticisms) – only offering a contrarian perspective. Putting white people on the cover was most definitely the publisher’s choice. Juno is brown-skinned as is everybody else on my world. Unless a book is self-published, the writer has no control over his/her covers. Most writers I know are pretty happy if the cover is at least true to the kind of book they’ve written. My publisher most definitely hit the mark on that score as the artwork says gritty, dark and futuristic. That said, I very much would’ve preferred a more accurate representation of the characters. 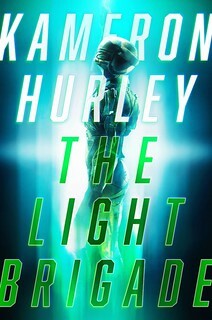 Mr. Hammond, I’m very sorry to hear the publisher white-washed your cover. It’s pretty shameful, but I understand you’re in good company. I’ve been waiting for a new KOP book with baited breath. Wonderfully written books, and definitely not the usual “shiny happy people doing shiny happy things” format. Juno is more of a 40-50 yo tired bruiser type. I imagine him as a brown-skinned Mickey Rourke-like character. Might be old stuff for detective novel readers, but not for SF. Some of my favorite SF is genre-bending, whether it be with romance, horror, crime, or some other shelf in the bookstore. The publisher is Tor, same as Mr. Scalzi’s. I wonder if they would be receptive to character description suggestions by Mr. Hammond for upcoming sequels and reprints. I know authors don’t get much input on what is considered a marketing aspect, but surely grossly misrepresenting the protagonist(s) is bad form a good publisher like Tor would want to correct. My understanding is that at least some publishers ask authors if there’s anything particular they want the cover art to avoid. Perhaps misrepresenting the characters’ appearance/ethnicity would fall under that gamut. John, I know your busy touring, but do you have any quick suggestions on this score? KOP series – love it, eagerly awaiting KOP Killer. As for race in Koba, I see it mostly as a planetary/orbital dichotomy, but yeah, some shade of brown please. At least the cover doesn’t feature space ships firing la-zers. I and my son loved your previous novels in the series Mr. Hammond. There are very few authors on my automatic buy list. 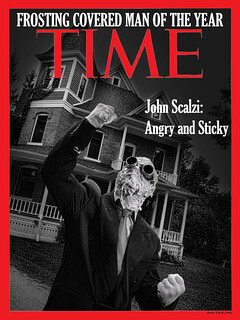 You are right up there with Mr. Scalzi. Well, you sold me. I guess there’s a part of me that’s sensitive to the argument that this portrayal of Third World can be problematic, but as a story the entire idea of the SF of failure appeals to me.